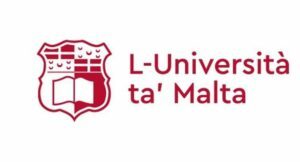 The L-Università ta’ Malta (University of Malta) is the country’s leading tertiary institution, catering for some 11,500 students who follow undergraduate and postgraduate studies. The University carries out academic research and provides a vibrant higher education setting in the arts, sciences, IT technologies and the humanities as required for Malta’s economic, social and cultural development. Some 750 courses are available for prospective students. The degree courses at the University are designed to produce highly qualified professionals, with experience of research, who will play key roles in industry, commerce and public affairs in general. The language of instruction is English and about twelve per cent of the student population is international. The University today is composed of fourteen faculties and a number of interdisciplinary institutes and centres and three schools. Well over 3,500 students graduate in various disciplines annually. The courses at the University are designed to produce highly qualified professionals with experiences of research, who will play key roles in industry, commerce and public affairs in general. Besides the main campus, situated at Msida, there are other campuses: one in Valletta, one in Marsaxlokk and the other in Gozo. The Valletta campus is housed in the Old University Building which dates back to the founding of the Collegium Melitense in 1592. The University’s International Collaborative Programmes, held at this historic Campus, are offered jointly or in collaboration with North American, Australian and European Universities of high repute, and include a number of postgraduate courses.